At the 6th Show Hello event in Paris, Orange and Deutsche Telekom, as part of the European AI Alliance, presented "Djingo," a voice-controlled smart speaker designed to interface with other digital services, including Amazon's Alexa virtual assistant. Stéphane Richard, Chairman and CEO of the Orange Group, said "To fight digital exclusion, Orange chooses inclusive innovation: useful and simple innovations that are accessible to the greatest possible number of people. To do so, we deploy the best fixed and mobile networks across the country. 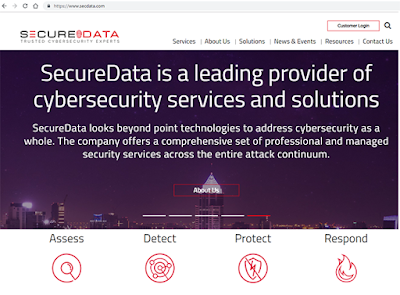 We secure and facilitate our customers’ digital lives thanks to our expertise in cybersecurity and in digital identity. We help all our customers enter the eras of artificial intelligence and of the internet of things. All of this, to enable them to participate in a new form of digital society. A progressive, free and enlightened society." Orange also provided the following update on its 5G launch. Orange plans to deploy 5G in 17 European cities in 2019 and be ready for commercial release in 2020, pending 5G smartphones availability. 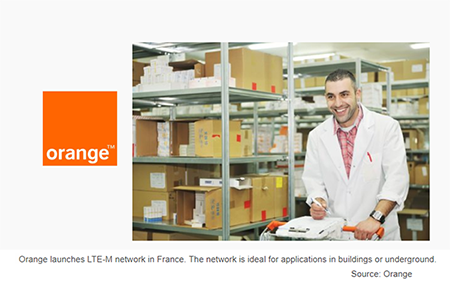 Orange Business Services officially launched LTE-M service throughout metropolitan France. The service is available to all companies that have subscribed to its 4G IoT offer. 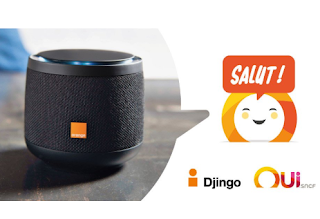 LTE-M compatible devices will be available by the end of the year on Datavenue Market, the Orange Business Services marketplace dedicated to IoT objects and connectivity. The launch in France follows the opening of Orange’s first LTE-M network in Belgium in May 2018. Orange will launch further LTE-M networks in Spain and Romania by the end of 2018. 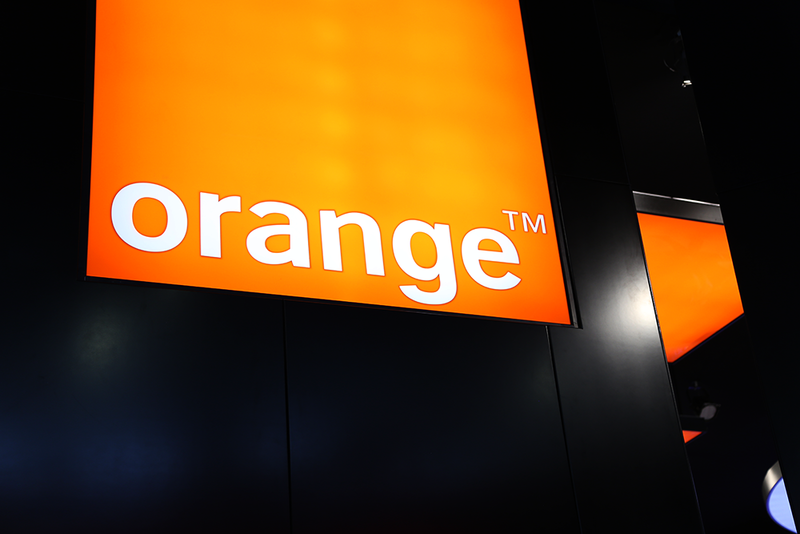 Orange said it is committed to deploying both LTE-M and LoRa across its European footprint. The carrier will select the appropriate technology on a country by country basis. LTE-M, which is a technology specifically dedicated to connected objects and deployed on Orange’s 4G networks will address objects that are on the move, in buildings or underground places. It is, therefore, suitable for logistical monitoring, telemonitoring, remote assistance and fleet management. Furthermore, LTE-M technology benefits from all the features of 4G including security, real-time connectivity and international roaming, thanks to broad support of the technology from other operators worldwide and already integrates with future 5G standards. LoRa technology addresses very low battery power consumption use-cases with (inexpensive) modules and with a large and growing ecosystem from sensors to applications. Orange has been a long-standing proponent of LoRa technology deploying a national network in France which some 250 corporate customers already using it. Orange has integrated EXFO's passive virtual probes (vProbes) into the Beijing Release of the Open Network Automation Platform (ONAP). 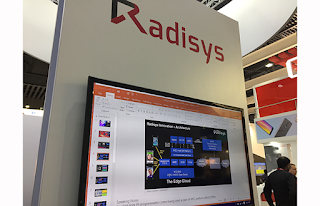 The companies said this industry-first integration of a passive probing virtual network function (VNF) into the ONAP release delivers service assurance for SDN/NFV commercial deployments provides monitoring and troubleshooting of the service quality actually experienced by end customers. The unique on-demand monitoring function dynamically instantiates end-to-end troubleshooting resources based on multiple criteria like service degradation and customer complaints, or in association with the provisioning of a new service. It also opens the way to the elasticity of virtual network function's monitoring in order to cope with sporadic traffic increases or relocation of a network function. 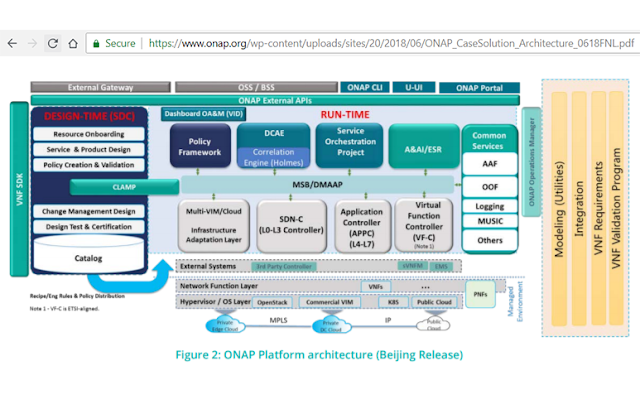 ONAP is seen as the global framework to orchestrate and automate the deployment and the lifecycle of the vProbes. "As we transform our network, we are partnering with innovative and disruptive vendors to support our move to Open Source technologies like ONAP to guarantee our software independence and openness," said Eric Debeau, Head of Orange's Network Automation Platform Team. "Orange and EXFO have successfully removed a major barrier to ONAP deployment: the lack of monitoring solutions for dynamic, orchestrated virtual networks. EXFO's unique on-demand provisioning of virtual passive probes significantly reduces the resources required to check service availability and troubleshoot issues. 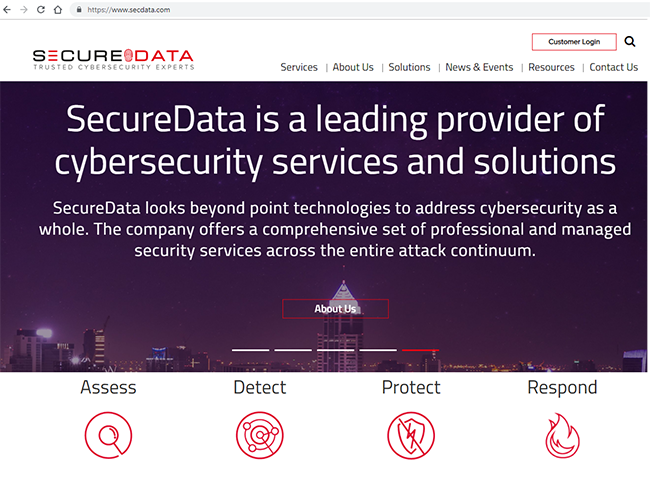 The solution enables service assurance for network virtualization through adaptive, permanent or on-demand monitoring solutions." "Expectations are high for commercial networks based on SDN/NFV to deliver better quality of service and availability. We are proud of our collaboration with Orange to make sure virtualization delivers on its promise of quality for the end customer while also accelerating operators' digital network transformations," said Abdelkrim Benamar, EXFO's Vice President, Service Assurance, Systems and Services. "We are also proud to have integrated our virtual passive probes in the ONAP in just two weeks, which demonstrates the maturity of our virtual network functions and the ONAP Beijing Release." Orange announced that France's national regulatory authority, ARCEP, has approved its plan to extend 5G testing to the greater Paris region using the 3400-3800 MHz band. In Paris'Opéra district, Orange will set-up a 5G use case demonstration. At the Orange Gardens laboratory site in Châtillon, Orange will offer its partners the chance to test innovative 5G products and services, including virtual reality and augmented reality, communications in an immersive environment and 4K/8K video. 5G services for companies will continue to be addressed in co-innovation projects at the dedicated Paris-Saclay platform. Orange to conduct 5G tests in Linas-Montlhéry focused on applications for the automotive industry. Earlier this month, Orange announced regulatory approval to begin 5G testing in the 3.7 - 3.8GHz frequency band in the city of Marseille. Orange will use equipment from Nokia for this trial deployment. Orange has received regulatory approval to begin 5G testing in the 3.7 - 3.8GHz frequency band in the city of Marseille. Orange will use equipment from Nokia for this trial deployment. Orange's 5G strategy has three components: improved high-speed mobile broadband, high-speed fixed broadband access and new uses - notably through connected objects to support the digital transformation of different business sectors. Orange has been conducting a multi-vendor 5G fixed wireless trial in Floresti, Cluj, Romania.. The trial makes use of Samsung's 5G solutions including the virtualized RAN, one of the smallest 5G access units and multiple indoor and outdoor 5G routers (CPE), as well as Cisco’s Meraki Z3 WiFi Router and Ultra Gateway Platform, which delivers a 5G virtual packet core on top of Cisco NFV Infrastructure that brings enhanced throughput and flexibility. The trial, which has been underway for a month and a half across multiple homes in Floresti, uses 26 GHz spectrum, massive MIMO and beamforming technologies. 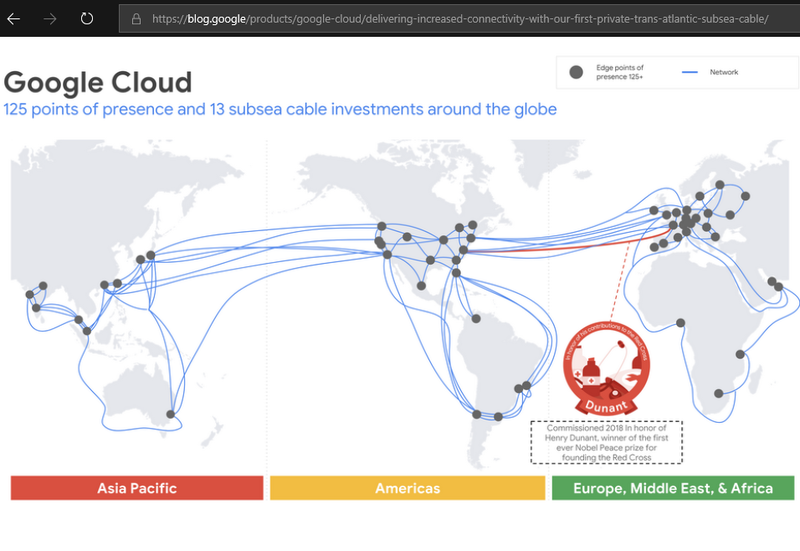 The companies report coverage beyond 1 km at 1 Gbps speed for a single user in real live conditions. Measurements in these conditions also show aggregated cell downlink throughputs of 3 Gbps with few users, although the system capacity is significantly higher. Orange is also testing Samsung’s Connectivity Node installed on a streetlamp to provide wireless connectivity for temperature and humidity sensors and security cameras. Sensors and cameras are connected wirelessly to the node, which is then connected to the core network via 5G. The Connectivity Node is a compact, high-capacity, easy-to-install and economical alternative for places where wireline deployment is unfeasible or costly. Orange conducted a trial of Cloud RAN technology in its live network in Poland in conjunction with Nokia. 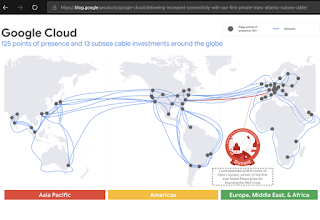 The trial, which used Orange's own cloud infrastructure, took place from March to the beginning of May in Poland, with radio sites in the city of Chelm and the virtualized part of the baseband running in a data center in Lublin, around 70 km away.. The two companies trialed Cloud RAN technology to prepare for the eventual introduction of a distributed cloud architecture for 5G by Orange. 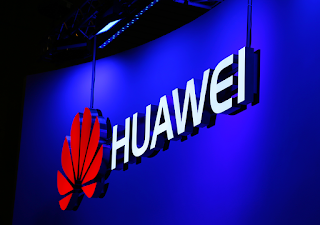 Orange Spain has deployed a national optical transport network using Huawei's equipment. The optical backbone offers up to 96x200G transmission capacity. 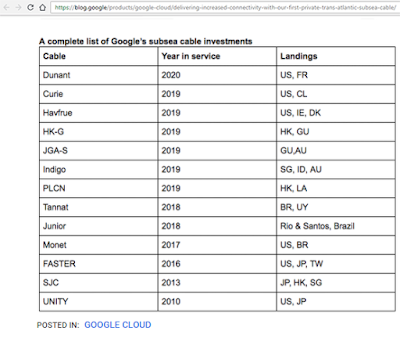 The new network consolidates the traffic of several different DWDM systems that arose as the result of several mergers. Orange International Carrier is launching a high-capacity, direct terrestrial fiber connection between Marseille and Penmarch, linking the landing stations for Mediterranean and Atlantic subsea cables. 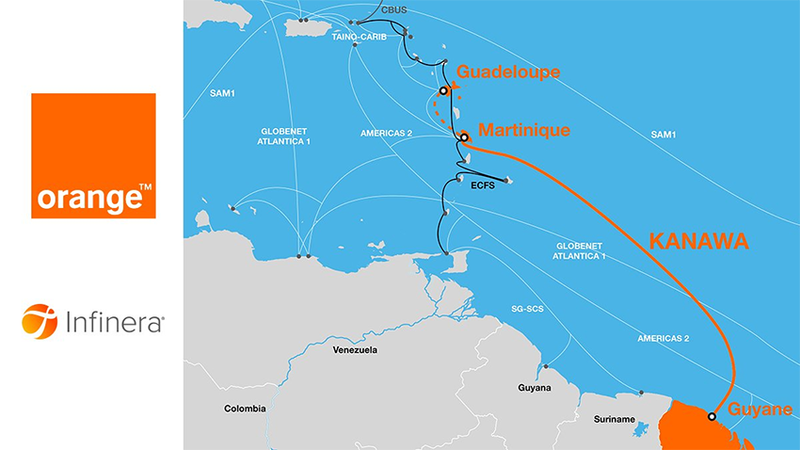 Orange said this new terrestrial service bridges existing submarine cable routes from Asia/Middle East and West Africa, including CHLS SMW4 Saint-Mauront, CHLS IMEWE Bonneveine and Interxion’s Data Center MRS1, at Marseille with the CHLS SMW3 and ACE submarine cables at Penmarch. 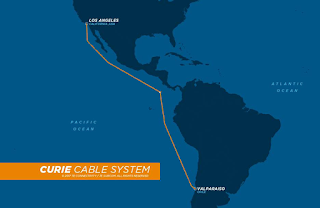 Orange is using the Cisco Network Convergence System (NCS 5500) to modernize and expand the Orange Open Transit Internet (OTI) service, which is a Tier 1 international Internet connectivity service offering direct access to the Internet networks in more than 100 countries through more than 50 points of presence (POPs). Orange's OTI targets both Internet service providers and content providers. Financial terms were not disclosed. 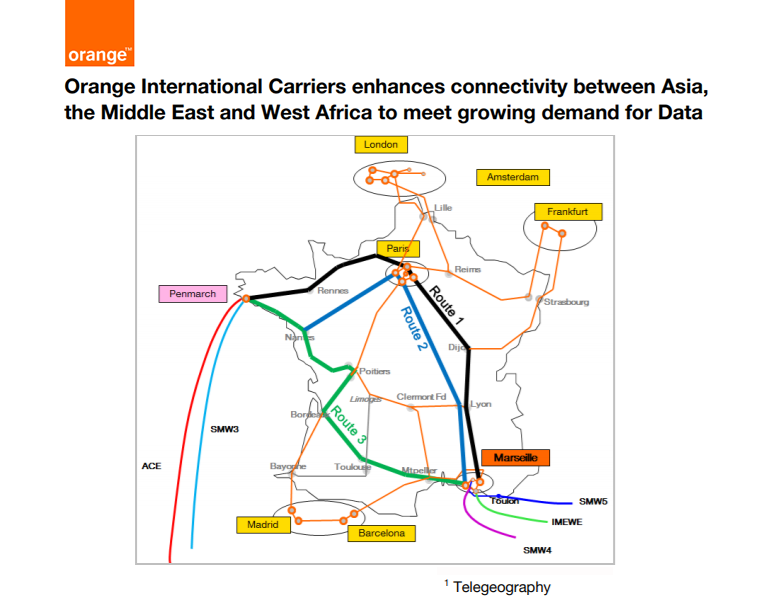 The companies said this initiative expands Orange's OTI network in Europe, Africa, and the Middle East, with reduced operational complexity and increased capacity using the new generation of routers on its OTI service. 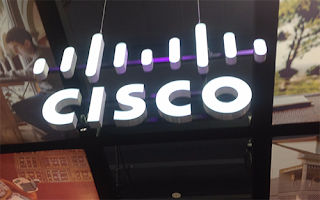 Cisco NCS 500 Series: addressing converged wireline and wireless 5G-ready requirements for mobile x-haul and future evolutions of Carrier Ethernet networks, and various bandwidth needs ranging from 1 to 100 Gbps interfaces in small form factors. 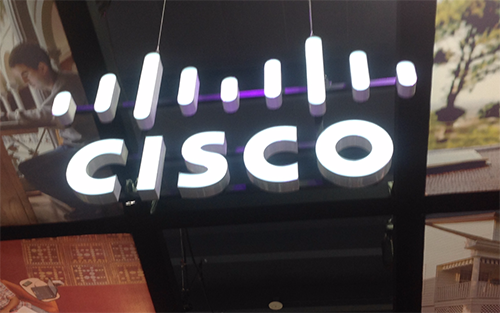 Cisco ASR 9901: it supports applications such as distributed provider edge, Internet peering, metro aggregation and broadband network gateway (BNG) in a space-optimized platform; It delivers 456 Gbps of port capacity while also providing flexibility in terms of port speeds ranging from 1 to 100 Gbps with industry-leading MACsec encryption support across all ports. 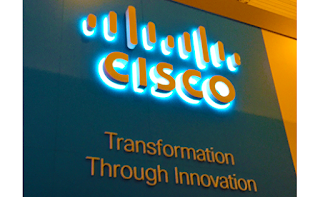 "Cisco continues to drive innovation in service provider routing to help our customers uplevel their architectures and be one step ahead in managing their network traffic demands,” said Jonathan Davidson, senior vice president and general manager, Service Provider Networking, Cisco. Orange Business Services announced a partnership Siemens, the leading factory automation equipment provider, to drive the adoption of the Internet of Things (IoT) in the industrial sector by simplifying integration and promoting IoT innovation. The initial focus will be to develop solutions around asset tracking and asset monitoring to optimize the supply chain and improve efficiencies, as well as to develop digitally enhanced products to increase customer satisfaction and create new business models. 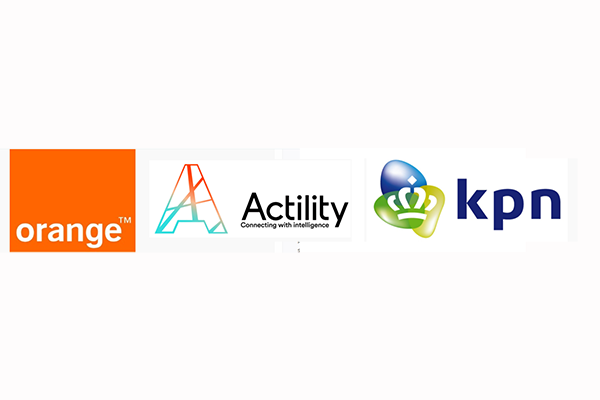 Orange and KPN have conducted roaming between their respective nationwide public IoT networks based on the latest LoRa Alliance specifications. 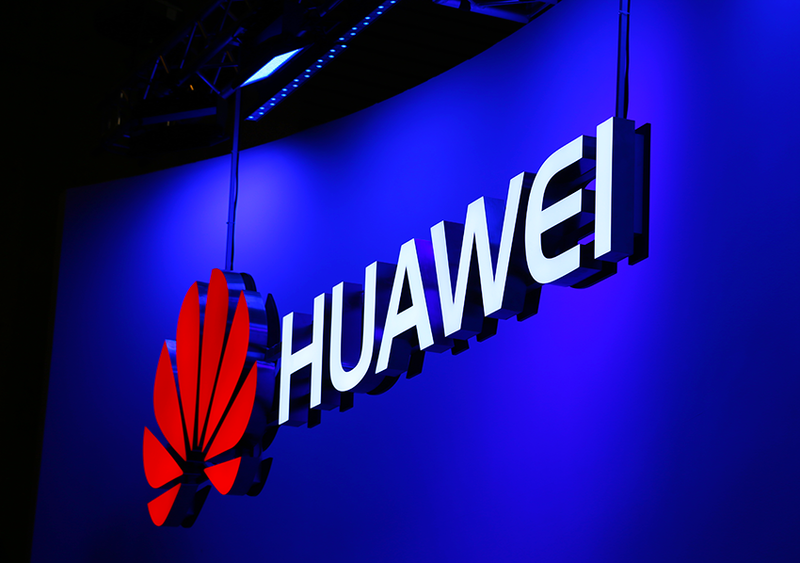 The testing included Actility, an IoT connectivity platform supplier. In October, the LoRa Alliance released the first version of the LoRaWAN Backend Interfaces Specification. This governs how LoRaWAN sensor data are passed between different networks to enable roaming. 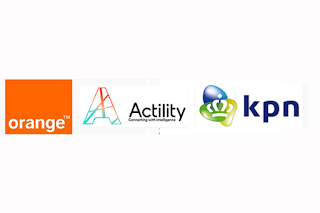 Based on this specification, Orange and KPN set up a secure roaming interface between their Actility network server platforms, and have successfully tested Orange devices operating on the KPN network in the Netherlands and KPN devices operating on the Orange France network. Interoperability opens up the possibility of connecting sensors or trackers that move between countries. It also simplifies the implementation of international business applications – by removing the need to both integrate several IoT platforms and contract with multiple LoRaWAN operators – thereby reducing time to market for customers. 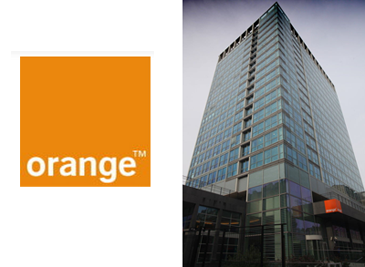 Telefónica and Orange announced a new commercial wholesale fiber agreement. Under the arrangement, Orange will be able to access Telefonica’s FTTH network, representing an extension of the current 2016 agreement. Telefónica and Orange reaffirmed their mutual commitment to a long-term wholesale relation in areas where Orange is not planning to deploy its own FTTH network. 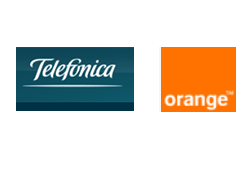 During next years, Orange will ensure wholesale revenues in all Telefonica’s footprint.